NATO expects to see a 3.8 percent increase in defense spending by its European members and Canada this year, as President Donald Trump hammers the closest U.S. allies to shoulder more of the defense burden. The increases mean European allies and Canada will have spent an additional $87 billion on defense since 2014, he said. Trump has wrongly claimed credit for this turnaround, which began in 2015 spurred by Russia’s military moves against Ukraine and its subsequent annexation of Crimea, as well as by pressure from the Obama administration. The Zapad exercise scenario was a border conflict with NATO countries. A large-scale Russian military exercise last month triggered new questions about NATO security and European conventional arms control. The week-long Zapad 2017 exercise, which simulated a Russian military response to a confrontation at the border with a NATO-allied country, displayed a range of technologies and maneuvers seemingly targeted at U.S. and NATO capabilities. The September exercises occurred against the political backdrop of worsening relations between Russia and NATO countries since the 2014 Russian seizure of Crimea. Russia showcased integrated maneuvers, such as those seen in Crimea and Syria, as well as improved technologies involving drones and electronic warfare, demonstrating the transformation of its military over the past decade into a modern, sophisticated force capable of challenging NATO and the United States. Since Russia’s annexation of Crimea, Western analysts have commented on NATO’s neglect of European defense amid growing Russian aggressiveness. The governments of the Baltic states and Poland have pressed NATO to strengthen its presence and capabilities on their territories. Over the past few years, NATO has implemented a number of deterrence-by-punishment measures aimed at bolstering defense at the border, including increased troop rotations in the front-line nations that have, in turn, raised Russian anxiety. U.S. and NATO military officials worry alliance forces are underprepared to respond to Russian capabilities for rapid troop mobilization. The Zapad 2017 scenario envisioned Russian and Belarusian military forces defending against military incursions by a hostile neighboring state labeled “Veyshnoria,” at the Belarusian border with Poland and Lithuania, two NATO members. Throughout the week, drills illustrated how, in Moscow’s perception, a conflict with NATO would unfold. An emphasis on concealing large force movements and utilizing air defense capabilities, such as the S-300 and S-400 missile systems, Pantsir-S1 anti-aircraft systems, and Iskander-M ballistic missile complexes, indicated a Russian preoccupation with the strength of NATO air capabilities. Drills also featured enhanced command and control, coordination of air support and naval forces, and anti-submarine warfare. Although Russian Defense Minister Sergey Shoigu described Zapad as a “purely defensive” exercise against a hypothetical invading alliance, the exercise transitioned after a few days into a counteroffensive campaign against an advanced conventional military, presumably representing NATO and U.S. forces. In fact, many of the drills featured defense operations against technologies that only the United States would possess, such as high-speed drones. An exercise element featuring a large number of units from Russia’s Northern Fleet, a force intended for strategic deterrence and the maritime defense of northwest Russia, indicates that Moscow envisioned the war games reflecting a conflict with NATO over the Baltic states. Zapad indicated a preparedness on the Russian side to raise the stakes in a conventional clash with NATO, meaning that NATO will need to evaluate whether it has the ability to maintain a deterrent with Moscow. The wake of the exercises could also bring attention to the possibility of renewing conventional arms control efforts between NATO and Russia. Experts such as Ulrich Kühn at the Carnegie Endowment for International Peace are revisiting conventional arms control as an additional instrument of European security. Although Moscow suspended its participation in the Conventional Armed Forces in Europe (CFE) Treaty in 2007, prior to the 2008 Russian occupation of Georgia, Kühn believes Moscow’s existential concerns about U.S. conventional strike capabilities and the security of Kaliningrad could make renewed talks on conventional arms control attractive to the Kremlin, despite Russian awareness that the “global balance of power” advantages the United States. In a Sept. 27 article for the blog War on the Rocks, Kühn proposed extending CFE Treaty counting rules to include heavy weaponry and limiting further troop deployments to the Baltic region. Yet, even if current tensions and European ambivalence make conventional arms restrictions difficult to coordinate, Kühn suggests implementing a range of confidence- and security-building measures that could improve communication and transparency among NATO members and between NATO and Russia. An official at the German Foreign Ministry told Arms Control Today, "We want to keep the channels of communication open. We seek a more constructive and predictable relationship with Russia and we encourage Russia to act within the norms and rules of the international community." To achieve such results, according to Kühn, measures could include updating the Vienna Document, a security agreement among the participating states of the Organization for Security and Co-operation in Europe (OSCE), which requires advance notice for military exercises exceeding 9,000 troops and observers for those involving 13,000 troops. Russia circumvents the rules and has opposed efforts to tighten them, he wrote. 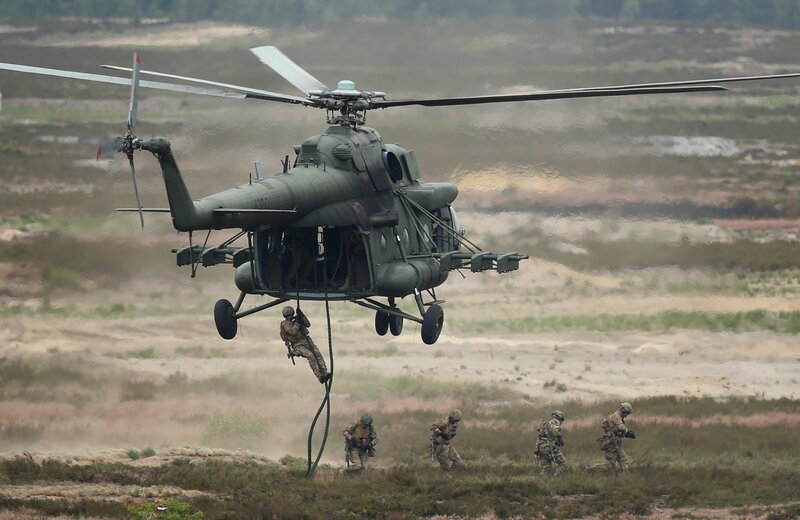 Ahead of the exercise, the Belarusian Defense Ministry said Zapad would involve fewer than 13,000 personnel, while Western analysts estimated the number of personnel involved to be as high as 100,000. In the end, Western governments conceded that the number of troops involved was likely closer to the official figure. Kühn noted that both sides have contributed to an increased risk of an accidental confrontation at the NATO-Russian border. “NATO’s current deterrence approach in the Baltic region also creates dangers of inadvertent escalation that could be addressed through improved communication,” he wrote. Both the OSCE and German government have called for expanding conventional arms control. But to be effective, conventional arms negotiations with Russia would necessitate agreement by all 29 NATO member-states. The West and Russia need to build on existing arms control measures to avoid exacerbation of the increasingly tense relationship between them, according to a group of international security experts. (Mosow, Berlin, Washington)—A new report from a high-level group of international security experts from Russia, the United States, and Germany recommends that the West and Russia build on a number of existing arms control and confidence-building measures in order to avoid further exacerbation of the increasingly tense and dangerous relationship between Russia and the West, particularly along the border between Russia and NATO member states. The third report of the Deep Cuts Commission describes 15 key recommendations to help address the most acute security concerns in Europe—particularly in the Baltic area—and increase U.S.-Russian nuclear transparency and predictability. “The prime objective for the next few years should be limiting the potential for dangerous military incidents that can escalate out of control,” the authors argue. “Russia and the West must come back from the brink. They need to better manage their conflictual relationship. Restraint and dialogue are now needed more than ever,” they write. In order to reduce current security concerns in the Baltic area, NATO and Russia should initiate a dialogue on possible mutual restraint measures. All states should adhere to the NATO-Russia Founding Act. A NATO-Russia dialogue should aim at increasing the security of all states in the Baltic area by encompassing reciprocal and verifiable commitments. A sub-regional arms control regime could consist of interlocking elements such as restraint commitments, limitations, CSBMs, and a sub-regional Incident Prevention and Response Mechanism. In light of the increasing dangers of military incidents between Russia, the United States and other NATO member states, the United States and Russia should revive a dialogue on nuclear risk reduction measures, capable of addressing risks posed by different sorts of emergencies in near real-time. The United States and Russia could consider creating a Joint Military Incident Prevention and Communications Cell with a direct telephone link between the U.S. Joint Chiefs of Staff, the Russian General Staff, and NATO’s Supreme Headquarters Allied Powers Europe. Such a cell could be linked to or established in parallel with a new European Risk Reduction Center. States-parties to the Treaty on Open Skies should pay more attention to the continued operation of Open Skies. They should strengthen its operation by devoting equal resources to upgrading observation equipment. Organization for Security and Cooperation in Europe (OSCE) participating States should consider measures to give effect to the principle of non-intervention into internal affairs. For this purpose, the OSCE could set up a commission which would carefully look into the issue from a legal point of view and explore possibilities for a new OSCE states-based mechanism. Beyond, OSCE participating States should prepare for a long-term endeavor leading to a Helsinki-like conference with the aim of reinvigorating and strengthening Europe’s guiding security principles. The United States and Russia should commit to attempting to resolve each other’s compliance concerns with the Intermediate-Range Nuclear Forces (INF) Treaty by supplementing ongoing diplomatic dialogue with technical expertise, either by convening the Special Verification Commission or a separate bilateral experts group mandated to appropriately address all relevant treaty-related compliance concerns. Further on, the United States and Russia should address the issue of supplementing the treaty by taking account of technological and political developments that have occurred since the treaty’s entry into force. The United States and Russia should address the destabilizing effects of nuclear-armed cruise missile proliferation by agreeing on specific confidence-building measures. Together with other nations, they should address the challenges of horizontal cruise missile proliferation by reinforcing the relevant Missile Technology Control Regime’s restrictions and by endorsing the inclusion of land-attack cruise missiles and unmanned aerial vehicles/unmanned combat aerial vehicles (UAVs/UCAVs) in the Hague Code of Conduct against Ballistic Missile Proliferation. Moscow and Washington should exercise restraint in Russian and U.S. nuclear force modernization programs, remaining within the New START limits and acting consistent with the intent of the treaty. The United States should forego development of the LRSO and Russia should reciprocate by phasing-out of new nuclear-armed ALCMs. The United States should show restraint in ballistic missile deployments consistent with its policy of defending against limited threats. NATO should follow through on its commitment to adapt its ballistic missile deployments in accordance with reductions in the ballistic missile proliferation threats. Russia and the United States should work toward early discussions on a possible follow-on strategic arms reduction treaty. They should be able to envision reductions to a level of 500 deployed strategic delivery vehicles and 1,000 deployed strategic warheads during the next decade. These discussions should explore options for exchanging measures of reciprocal restraint and seek to address other issues of mutual concern under a combined umbrella discussion of strategic stability. Beyond these recommendations, the experts identify a number of additional measures which could foster confidence in and maintain focus on the goal of further nuclear disarmament. The complete report is available online. 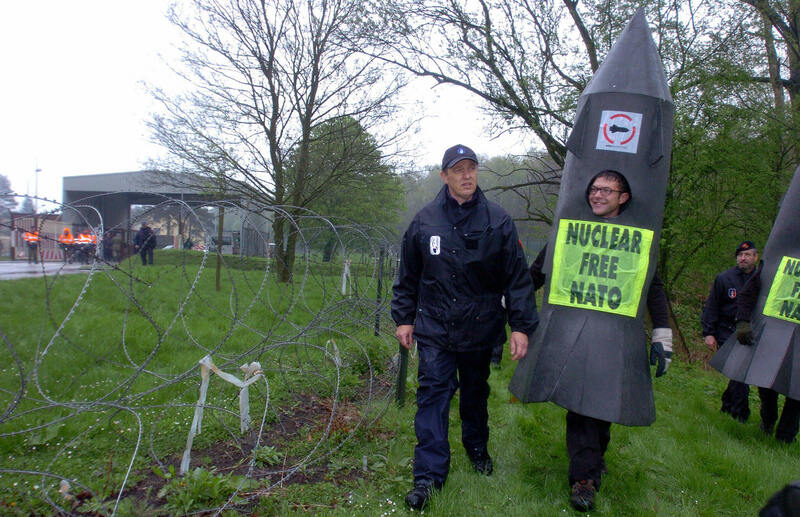 More and more voices are calling for a review of NATO’s nuclear deterrence policy that would strengthen the role of nuclear weapons within the alliance. That would be a dramatic and ill-advised change. The biennial NATO summit in Poland next month comes at a time of deeply strained relations between NATO and Russia. The Russian occupation of Crimea is a direct challenge to internationally agreed principles. Other indications of Russia’s assertive foreign policy are its incursions into eastern Ukraine, brinkmanship with military aircraft and ships near the borders of NATO member states, aggressive nuclear rhetoric, and military intervention in Syria. No wonder that fear in many eastern European states, despite being members of NATO, has been on the rise since the beginning of the Ukraine crisis. That is why the NATO summit in Wales in September 2014 tried to reassure eastern European member states with the creation of the Very High Readiness Joint Task Force, the stationing of rotating NATO (including U.S.) troops, and military exercises. Apparently, eastern European member states are not yet fully satisfied. At the upcoming summit in Warsaw, although there are equally pressing challenges at NATO’s southern flank due to the conflict in Syria, eastern European states are expected to demand a reinforcement of NATO’s reassurance and deterrence policy. Tellingly, more and more voices are calling for a review of NATO’s nuclear deterrence policy that would strengthen the role of nuclear weapons inside the alliance.1 That would be a dramatic change as the role of nuclear weapons in NATO doctrine has gradually decreased since the end of the Cold War. The numbers of U.S. tactical nuclear weapons in Europe have come down from about 2,500 in 1993 to about 180 today.2 The phrase from the 1999 Strategic Concept that nuclear weapons “will continue to fulfill an essential role” to preserve peace was significantly altered in the most recent version of the document 11 years later.3 Instead the current version states, “Deterrence, based on an appropriate mix of nuclear and convention capabilities, remains a core element of our overall strategy.”4 Similarly, the two specific references to the “nuclear forces in Europe” were deleted. The only remaining reference to those forces is the pledge to “ensure the broadest possible participation of Allies in collective defence planning on nuclear roles, in peacetime basing of nuclear forces, and in command, control and consultation arrangements.”5 Moreover, the readiness levels of these weapons have been drastically reduced since the end of the Cold War. Contrary to the past, it would take weeks or even months to be able to use the U.S. tactical nuclear weapons stationed in Europe.6 Finally, in contrast to the previous version, the 2010 Strategic Concept refers twice to the goal of a world without nuclear weapons. Two months later, Polish Deputy Defense Minister Tomasz Szatkowski proposed stationing U.S. tactical nuclear weapons in Poland. That would contravene the 1997 NATO-Russia Founding Act, which stipulated that NATO had “no intention, no plan, and no reason” to station nuclear weapons on the territory of the new members.8 The Polish Ministry of National Defence immediately denied that Szatkowki’s statement was a formal proposal. This article will describe and evaluate the arguments of the proponents of changing NATO’s nuclear weapons policy. It will conclude with a discussion of alternative options. The advocates of change point out that the last revision of NATO’s Strategic Concept was conducted more than five years ago. Another key exercise in this area, the Deterrence and Defence Posture Review, was conducted from 2011 to 2012 and also predates the Ukraine crisis. The strategic environment has changed, and as a result, NATO policy, including nuclear weapons policy, should change, the advocates argue. They also point to a change in Russia’s nuclear doctrine that apparently includes the possibility of early use of limited nuclear strikes in response to a large-scale conventional weapons attack by the West in the hope of de-escalating the crisis at hand. Their arguments boil down to two objectives: first, strengthening NATO’s nuclear weapons policy in order to reassure eastern European states and, second, deterring Russia. The two are related as deterrence may strengthen reassurance, although only if the deterrent is perceived as credible. Eastern European states argue that NATO’s nuclear weapons policy should be updated. Because they are geographically close to Russia and some of them were invaded by the USSR during the Cold War, they want guarantees that Article 5 of the Washington Treaty will be implemented if needed. Article 5 states that an attack against one member state will be regarded as an attack on NATO as a whole and will trigger a common response. The biggest mistake by NATO would be not to respond to the fears in eastern Europe. That said, threat perceptions are subjective by nature and can be heavily influenced by factors related to historical experiences and domestic politics, including the media. There are three reasons why Russia is not likely to invade and occupy any eastern European member state of NATO. First, Russia is not an expansionist country. The reason that it invaded Crimea can be categorized as defensive. Large nations defend their spheres of influence, and Russia regarded Ukraine as part of its sphere of influence. That geostrategic constellation is also recognized by realists such as Henry Kissinger, John Mearsheimer, and Stephen Walt.13 They blame the West as well as Putin for having created the Ukraine crisis. Luckily, the West can by definition not repeat in eastern Europe the mistakes it made vis-à-vis Ukraine and Russia because eastern Europe already belongs to the Western sphere of influence, something that has been more or less accepted by Russia. Even if Putin would like to live in a country as big as the former Soviet Union, he is fully aware that that is not going to happen. Second, there is a world of difference between occupying all or part of a country of which a large majority of the population stands behind the occupier, as in Crimea, and a country in which only a relatively small percentage of the population would support the occupation, as in the Baltic states. By invading and occupying one or more of the Baltic states, Putin would import too many problems. The Russian economy, which may determine the survival of the regime, is in trouble. The international reaction to the occupation of the Crimea, including the economic sanctions by the West, is hurting Russia economically. Putin has every reason to avoid making matters worse. Third, through NATO, the U.S. and western European spheres of influences have been institutionalized. The Baltic states belong to NATO; Ukraine did not. The Ukrainians might have hoped that the West would help them militarily. The Baltic states may hope for the same thing, but their hope has a much firmer foundation. NATO cannot do otherwise because helping allies militarily is NATO’s core business. Putin knows that very well. Although Putin can make mistakes, his record in foreign and domestic politics shows that he calculates rather well. He rightly estimated that occupying Crimea would not stir a military reaction by the West. With regard to the Baltic states, his calculations will be different. For all these reasons, it is reasonable to assume that the odds are that Russia is not going to invade and occupy the Baltic states, let alone Poland or Romania. That said, NATO should do as much as it can to reassure its eastern European states. These reassurances, however, should meet two conditions. They should be credible, and they should not provoke Russia as that could make matters even worse. With respect to the first condition, the question is whether nuclear weapons are a credible means of reassuring eastern European member states. Tallinn is fully aware that NATO is not going to use nuclear weapons, even in the extremely unlikely event of a Russian occupation of Estonia. Updating NATO’s policy of extended nuclear deterrence should therefore not be on the agenda. There is an alternative that is much more credible than nuclear weapons, namely the forward deployment of usable weapons. That would mean conventional weapons and troops, even if on a rotational basis. That is exactly what NATO has been doing until now and what Carter recently described.14 The Warsaw summit should restrict itself to fine-tuning and implementing the decisions made at the Wales summit. It is difficult to see how NATO’s nuclear weapons policy can contribute to reassuring eastern European states unless one believes that these weapons deter Putin. That raises the second argument, deterrence. NATO should enhance deterrence for the very unlikely case that Putin is going to miscalculate. As in the case of reassurances, the deterrent should be credible and should not provoke Russia. The credibility of a deterrent depends on the capabilities and the intention to use them. That is the reason why conventional deterrence is more credible than nuclear deterrence, especially after 70 years of nonuse of nuclear weapons. Each day that nuclear weapons are not used on the battlefield, the norm against using these weapons is strengthened. Every day, it becomes more difficult for a U.S. president to authorize the use of these catastrophic weapons. That applies even more to nuclear weapons that are meant to defend other states under the notion of extended nuclear deterrence. In his standard work on deterrence, Patrick Morgan wrote, “If the Soviet Union invaded Western Europe, would it be rational for the United States to attack the Soviet Union with nuclear weapons if it knew that it would thereby provoke massive damage to itself in return? The answer, of course, is ‘no’.”15 It therefore is not rational for eastern European states to cling to the belief that NATO nuclear weapons, even the strategic ones, help much in deterring Putin. That reasoning applies even more to the U.S. tactical nuclear weapons stationed in western Europe. Practically speaking, the use of these tactical nuclear weapons requires the consent of all NATO member states. It is extremely unlikely that all states will agree to use the weapons, even in the unlikely event of the occupation of the Baltic states. That is because the consequences of the radioactive fallout may be felt in the Baltic states and other NATO member states. Furthermore, the 2010 Strategic Concept moved away from the role of tactical nuclear weapons and emphasized the role of strategic nuclear weapons as the key element of the nuclear umbrella. Note that the Strategic Concept was not written in times when the relationship with Russia was smooth, but after friction with Russia in Kosovo and elsewhere in the Balkans, after two rounds of NATO expansion, after the NATO Bucharest summit in 2008 that stated that Georgia and Ukraine “will” become NATO members, and after the Georgian-Russian war that was partly the result of that declaration. The threat assessment in 2010 was different from the one today, but the difference should be put in perspective. Despite the troubles with Russia at that time, the role of NATO’s nuclear weapons was diminished in the 2010 Strategic Concept and the issue was not discussed at the 2014 Wales summit. It would be inconsistent to reverse this policy now. Putin knows that NATO is not going to use U.S. tactical nuclear weapons stationed in western Europe to protect the Baltic states. The authors of a recent RAND report based on a tabletop simulation exercise argue convincingly that these tactical weapons do not make any difference.16 To conclude, enhancing the readiness of the dual-capable aircraft in western Europe will not make the slightest difference in Putin’s calculations. As a result, an update of NATO’s nuclear policy will not strengthen deterrence of Russia and cannot help reassure the eastern Europeans. Emphasizing the role of nuclear weapons in NATO’s nuclear doctrine at the Warsaw summit is likely to have substantial negative consequences. First, it will complicate the relationship with Russia, especially in arms control, an area in which there already is an impasse. Strengthening the role of nuclear weapons on the Western side will only fuel the nuclear arms race, which is definitely not in the interest of NATO. If Putin has increased the role of nuclear weapons in Russia, that does not mean that NATO should follow suit, especially because NATO is powerful enough in the non-nuclear realm. One of the reasons why Russia’s defense depends on nuclear weapons is that it is compensating for its inferior conventional forces, just as NATO did during the Cold War. Second, strengthening NATO’s nuclear weapons policy will have negative domestic political consequences in the countries that host tactical nuclear weapons. The odds are that these weapons will become more politically exposed if NATO decides to reverse its decades-old practice of lowering the readiness of the dual-capable aircraft. If NATO is going to do that, the pressure in the host nations to remove these weapons will certainly go up. That is a recipe for further friction within NATO. The public in the host countries, especially in Belgium, Germany, and the Netherlands, already has been asking for more than a decade to remove these weapons from their territories. The Belgian parliament approved resolutions in this regard, most recently in 2015. In the Netherlands, the majority parties agreed to a parliamentary motion in 2013 asking the government not to make the F-35 Joint Strike Fighter nuclear capable. The 2009 German government declaration included a paragraph asking for the removal of the U.S. tactical nuclear weapons. The answer from NATO was always that its nuclear weapons policy could not be changed except in the framework of the next Strategic Concept. If that is indeed the logic, NATO cannot change the policy in Warsaw because there will not be a new Strategic Concept produced there. Third, there is also a world beyond NATO and Russia that is increasingly impatient with the pace of nuclear disarmament. Partly as a result of this frustration, the humanitarian initiative arose.17 If NATO, the most powerful alliance in history, even without nuclear weapons, decides at the upcoming summit to reverse its decades-old policy of delegitimizing nuclear weapons and to rely on them even more, the odds are that such a decision will cause even more friction with many non-nuclear-weapon states outside NATO. In all likelihood, it will further diminish the chances that nuclear Nonproliferation Treaty review conferences will succeed in the future, and it will decrease the prospects for additional nonproliferation measures. One can also predict that the push for a nuclear weapons ban will draw even more support, which in turn will provoke societal debates within NATO member states about the role of nuclear weapons.18 Increasing even slightly and in whatever way the role of nuclear weapons in NATO at the Warsaw summit would go against the tide of history. The numbers of nuclear weapons worldwide are going down. When the current tensions have subsided, NATO should remove the tactical nuclear weapons from Europe. If a majority of NATO member states had believed that upgrading NATO’s extended nuclear weapons policy was the best thing to do to reassure eastern Europeans and deter Russia, they would have already done so at the NATO summit two years ago. That did not happen, and nothing in the post-Wales period suggests a different approach. That means that if eastern European member states, backed by France, which wants to delay the discussion about French nuclear weapons as long as possible, at the next summit insist on updating NATO’s nuclear weapons policy, countries that are opposed—the European countries discussed above and probably also the United States—will have to bargain as hard as the advocates of change in order to reach an end result that maintains the status quo. Russia has to be deterred with credible means, namely conventional weapons. Only a credible deterrent can reassure eastern European member states. Even better, NATO should start thinking about ways to restore a political relationship with Russia. That would be in the spirit of the Harmel doctrine, which regarded NATO as a political as well as a military organization. It is in the interest of all NATO member states not to make matters worse with Russia. Territory seized by the Islamic State group can be recaptured, but Russia will remain a neighbor of NATO in the future. NATO and Russia need each other to work together on issues such as containing the threat of international terrorism; stabilizing Syria, the rest of the Middle East, and Afghanistan; and preventing nuclear proliferation. NATO and Russia are doomed to cooperate. Halting the suspension of the NATO-Russia Council is a first step. The fact that the council reconvened in the second half of April after two years of inaction may be an indication that the height of the crisis has passed. To consolidate the cooperation, NATO and Russia can take other confidence- and security-building measures, including announcing and attending each other’s military exercises, discussing military doctrines with each other, and starting up new arms control negotiations, including with respect to tactical nuclear weapons. These arms control measures could include unilateral steps that the other side would be encouraged to reciprocate. In order to prevent a development like the Ukraine crisis in the future, Russia and the West should fundamentally rethink the existing Euro-Atlantic security architecture. At its core, NATO is a collective defense organization that was established to prevent attacks from outside NATO territory. Russia’s behavior in Ukraine was therefore a gift to NATO because it could be cited as a justification for NATO’s existence. Similar mechanisms are at play in Russia. Putin exploited NATO expansion for domestic political purposes. The Kremlin and NATO, along with their respective militaries and defense industries, need this kind of tension and antagonism toward each other. As long as that is the case, conflicts between Russia and the West, such as the one in Ukraine, may occur again. The only way to halt the negative spiral is to include Russia in the Euro-Atlantic security architecture in a way that is acceptable to all actors involved. Russia and the West have missed that opportunity in the past. 1. 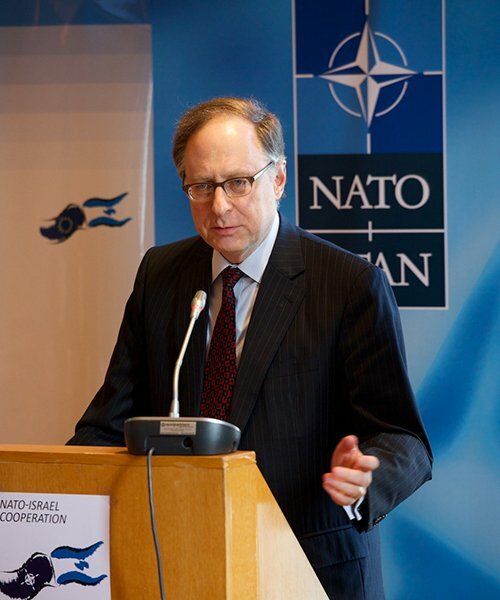 See Jacek Durkalec, “NATO Must Adapt to Address Russia’s Nuclear Brinkmanship,” European Leadership Network, October 30, 2015, http://www.europeanleadershipnetwork.org/nato-must-adapt-to-address-russias-nuclear-brinkmanship_3263.html; Jeffrey Rathke and Simond de Galbert, “NATO’s Nuclear Policy as Part of a Revitalized Deterrence Strategy,” Center for Strategic and International Studies, January 27, 2016, http://csis.org/publication/natos-nuclear-policy-part-revitalized-deterrence-strategy; Matthew Kroenig, “The Renewed Russian Nuclear Threat and NATO Nuclear Deterrence Posture,” Atlantic Council Issue Brief, February 2016, http://www.atlanticcouncil.org/images/publications/Russian_Nuclear_Threat_0203_web.pdf. 2. Hans Kristensen, “Non-Strategic Nuclear Weapons,” Federation of American Scientists, May 2012, pp. 12, 14, https://fas.org/_docs/Non_Strategic_Nuclear_Weapons.pdf. 3. NATO, “The Alliance’s Strategic Concept,” April 24, 1999, http://www.nato.int/cps/en/natolive/official_texts_27433.htm; NATO, “Active Engagement, Modern Defence: Strategic Concept for the Defence and Security of the Members of the North Atlantic Treaty Organization,” n.d., http://www.nato.int/nato_static_fl2014/assets/pdf/pdf_publications/20120214_strategic-concept-2010-eng.pdf (adopted November 19, 2010) (hereafter 2010 Strategic Concept). 4. 2010 Strategic Concept, p. 14. 6. NATO, “NATO’s Nuclear Forces in the New Security Environment,” NATO Issues, June 3, 2004, p. 5. 7. Kingston Reif, “NATO Weighs Nuclear Exercises,” Arms Control Today, November 2015. 8. “Founding Act on Mutual Relations, Cooperation and Security Between NATO and the Russian Federation,” May 27, 1997, http://www.nato.int/cps/en/natohq/official_texts_25468.htm. 9. Hans Kristensen, “Adjusting NATO’s Nuclear Posture,” Federation of American Scientists, December 7, 2015, https://fas.org/blogs/security/2015/12/poland/. 13. Henry A. Kissinger, “To Settle the Ukraine Crisis, Start at the End,” The Washington Post, March 5, 2014; John J. Mearsheimer, “Why the Ukraine Crisis Is the West’s Fault,” Foreign Affairs, Vol. 93, No. 5 (September/October 2014); Stephen Walt, “Why Arming Kiev Is a Really, Really Bad Idea,” Foreign Policy, February 9, 2015, http://foreignpolicy.com/2015/02/09/how-not-to-save-ukraine-arming-kiev-is-a-bad-idea/. 14. The Obama administration has requested $3.4 billion for the European Reassurance Initiative for fiscal year 2017, more than four times the amount requested for the current fiscal year, to increase the amount of war-fighting equipment and the number of U.S. forces rotating through Europe. U.S. Department of Defense, “Secretary of Defense Speech: Remarks at EUCOM Change of Command,” May 3, 2016, http://www.defense.gov/News/Speeches/Speech-View/Article/750946/remarks-at-eucom-change-of-command. 15. Patrick M. Morgan, Deterrence: A Conceptual Analysis (Beverly Hills, CA: Sage Publications, 1977), p. 93. 16. David A. Shlapak and Michael W. Johnson, “Reinforcing Deterrence on NATO’s Eastern Flank: Wargaming the Defense of the Balkans,” RAND Corp., 2016, p. 7, http://www.rand.org/content/dam/rand/pubs/research_reports/RR1200/RR1253/RAND_RR1253.pdf. 17. John Borrie, “Humanitarian Reframing of Nuclear Weapons and the Logic of a Ban,” International Affairs, Vol. 90, No. 3 (May 2014): 625-646. 18. Tom Sauer, “It’s Time to Outlaw Nuclear Weapons,” The National Interest, April 18, 2016, http://nationalinterest.org/feature/its-time-outlaw-nuclear-weapons-15814. Tom Sauer is an associate professor of international politics at the Universiteit Antwerpen in Belgium. He is a former fellow at the Belfer Center for Science and International Affairs at Harvard University. He co-edited Nuclear Terrorism: Countering the Threat (2016) and is the author of Eliminating Nuclear Weapons: The Role of Missile Defense (2011). An almost identical incident occurred nine months later, on December 12, again involving a Russian warplane and a civilian airliner that had just left Copenhagen. Barely a year after the first incident, in March of this year, Russian Su-30 multirole fighter jets used two NATO warships in the Black Sea as targets in high-intensity training exercises.2 The purpose of the exercise appears to have been to provoke the NATO ships into taking defensive action so that the pilots of the Russian aircraft could observe that action and practice countermaneuvers. Over the last 18 months, the European Leadership Network has logged more than 60 such dangerous incidents in the Euro-Atlantic area.3 The wider catalogue of events includes mock Russian cruise missile attack runs on targets in North America and Denmark, instances of Russian and Western fighter aircraft coming within meters of each other while on maneuvers, a series of submarine hunts off the coasts of Scotland and Sweden, and the abduction by Russian agents in September 2014 of an Estonian security service operative on Estonian, and therefore NATO, territory. In recent weeks, as Russian air operations have commenced in Syria and instances of Russian violations of Turkish airspace have come to light, the theater of these close and dangerous military encounters and incidents appears to have broadened from the Baltic Sea, Black Sea, and Atlantic Ocean to the Middle East. There is a wider military and political context to these events that makes them all the more worrying. In addition to the close NATO-Russian military encounters now occurring, a general deterioration in the relationship between Russia and the West has become visible in an action-reaction cycle of military exercises being conducted in Europe. Russia is conducting more exercises than NATO, and the two sets of exercises are dissimilar in scale. A Russian “snap” exercise conducted in March, for example, brought together 80,000 military personnel in operations focused on the Arctic and the Baltic Sea regions whereas NATO’s largest exercise in many years, Trident Juncture, which started last month, drew about 36,000 military personnel. Moreover, while NATO exercises are aimed at reassuring allies in the eastern part of the alliance in the context of Russian support for separatists in Ukraine, Russia is using its exercises at least partly to intimidate and unsettle its neighbors. Despite these important differences, however, there are similarities in the exercises of the two sides. These similarities say something important about what is occurring. Both sides are using their exercises to practice a rapid mobilization and redeployment of forces over long distances to strengthen what they perceive to be their most strategically exposed areas. NATO is conducting exercises with a view to being able to protect the Baltic states and Poland. Russia is focusing on its border areas with Latvia and Estonia; Kaliningrad, the Russian territory between Lithuania and Poland; the Arctic; and occupied Crimea. The exercises of both involve ground, air, and naval forces in joint operations and include high-intensity combined arms training, the conducting and repelling of amphibious assaults, and engagements with low-level irregular forces. Most importantly, despite protestations by both sides that the exercises are aimed at no particular adversary, it is clear that each side is exercising with the most likely war plans of the other in mind. The Russian military is preparing for a confrontation with NATO, and NATO is preparing for a confrontation with Russia. This does not mean either side has the political intent to start a war, but it does mean that both believe a war is no longer unthinkable. Many in NATO believe that the demonstration of resolve that the NATO exercises and additional force deployments in eastern Europe represent is essential to deterring Russian aggression and therefore to keeping the peace in Europe. In NATO’s view, the exercises are not a problem, but a virtue. Whether this view is justified—given Russia’s recent behavior, it may well be—the total effect of the developments described here is to generate a growing sense of insecurity on both sides. Russian exercises are seen as a provocation and a threat in the West, and NATO exercises and new deployments are seen as threatening in Moscow. The developing situation also has a nuclear dimension. In a documentary made for a domestic Russian audience in March 2015, Russian President Vladimir Putin indicated that he had considered putting Russian nuclear forces on alert during the operation to annex Crimea. Just a few weeks later, the Russian ambassador to Denmark appeared to tell that country that if it took part in NATO’s emerging missile defense shield, it could expect to go on the target list for Russian nuclear weapons in the event of a conflict. These instances of what are seen as nuclear intimidation and nuclear saber rattling are creating pressure for a NATO response. Meanwhile, Crimea and Ukraine have become flash points of a much more fundamental political disagreement. Not only are there significant policy differences between Russia and the West, but on the Russian side, a growing number of military and national security officials appear to believe Western policy is aimed at overthrowing Putin and weakening the Russian state to the point where it can be effectively destroyed and dismembered. Claims that the removal of the Yanukovych government in Ukraine was a Western-backed unconstitutional coup and a trial run for a “color revolution” in Russia itself are dismissed as rhetoric in the West, but are more deep-rooted in Moscow than some Western policymakers appear willing to acknowledge.5 It therefore seems safe to assume that current Russian behavior is driven as much by a concern for regime survival as it is by a concern for geopolitical advantage or by disagreement with specific policies of the West. Many in the West at the same time believe that Russia is seeking to change the post-Cold War settlement, or perhaps even the post-World War II settlement, in Europe in a number of ways, including by use of force if necessary. The charge sheet here concerns changes to the borders of the Georgian state since 2008 and events in Crimea and eastern Ukraine over the past two years. It also includes the provision of funding and support to nationalist political parties hostile to the European integration project in central and western Europe and the use of energy as an instrument to influence the domestic and foreign policy choices of a number of states in NATO and the European Union. For many, it is becoming apparent that Russia is a revisionist power in western as well as eastern Europe. Whether or not the current situation amounts to a new Cold War, the upshot is a confrontation in which both sides now perceive their fundamental interests to be at stake. Too few appear to recognize that the current cocktail of incidents, mistrust, changed military posture, and nuclear signaling is creating the conditions in which a single event or combination of events could result in a NATO-Russian war, even if neither side intends it. To understand why this is not an exaggerated concern, one might consider the sequence of events that easily could have transpired if the aforementioned SAS civilian airliner en route from Copenhagen to Rome had collided with the Russian warplane. The outrage and uproar in Western capitals at what would certainly have been a very serious loss of life would have been understandably huge. Media and public pressure to act quickly against Russia would have been irresistible. A demand for an immediate cessation of Russian military flights with transponders switched off, especially in civilian air corridors, would have been issued. If that demand did not elicit an immediate positive response from Moscow, a move that might imply acceptance of guilt, previously routine civil aviation flights in European airspace would have been declared at risk. In that situation, those flights would have to have been suspended, which would have been politically unacceptable and economically very damaging, or NATO would have needed to begin military interdiction of Russian aircraft. Any European government not willing to support such interdiction would have been taking its future in its hands, exposing itself to claims that it was weak in the face of unacceptable Russian behavior or risking a further incident while doing little or nothing to prevent it. Amid this kind of uproar in the West, Putin would be highly likely to exhibit sadness at the loss of life and to offer full Russian assistance in any inquiry to get to the bottom of what happened. At the same time, he almost certainly would point out that Western military aircraft themselves fly with transponders switched off and that the Russian military aircraft involved in this particular incident was operating in full compliance with international law and was in international airspace. Although not ruling out talks to manage the situation, his domestic political persona would constrain his options. He has invested a lot of time and effort in portraying himself to his own people as a strong leader, capable of standing up to the West while making Russia respected again on the international stage. Capitulating to Western pressure outright would be politically damaging. Diplomacy might save the day, but that could not be assumed. The scene would be set for the planes, naval vessels, and land forces of a nuclear-armed state and a nuclear-armed alliance to continue coming up against each other. This time, however, the close encounters would not be part of planned exercises or a game of brinkmanship, which is dangerous enough, but would come amid a real standoff over who had the right to fly where and under what circumstances, with everyone’s fundamental interests and full political prestige at stake. Little or nothing is being done to avert this kind of crisis, which could be triggered by any one of the other dangerous incidents and encounters that have taken place over the last 18 months. This absence of action is shocking. If such a crisis resulted in military hostilities, there would be no telling where those hostilities might lead and, given the nuclear arsenals on both sides, what the end result could be. The Agreement on the Prevention of Incidents on and Over the High Seas, usually known as the Incidents at Sea Agreement, was signed by U.S. President Richard Nixon and Soviet leader Leonid Brezhnev at their summit in Moscow in May 1972. It is a technical military-to-military agreement rather than a statement of political principle. It requires each side to avoid dangerous maneuvers, refrain from mock attacks that might simulate weapons use against aircraft or ships, and avoid dropping objects close to ships to hinder their navigation. It also requires the surveillance ships and aircraft of one side to communicate with the other. The agreement was a response to a dangerous pattern of military activities, including instances of each side’s warships maneuvering very close to those of the other, and a pattern of dangerous maritime air surveillance involving close overflights of warships. The latter was often perceived as harassment by the ships’ commanders. The agreement proved its worth when, during the Arab-Israeli war in October 1973, it helped ensure there were no serious incidents while 150 U.S. and Soviet warships shared the crowded waters of the eastern Mediterranean. The risk of a serious crisis and the absence of action to prevent one led to a recent paper from the Task Force on Cooperation in Greater Europe, made up of senior figures from Russia and the rest of Europe. This group called for the NATO-Russia Council to be convened urgently to discuss a possible new memorandum of understanding (MOU) between NATO and Russia on rules of behavior in air and maritime encounters between the two sides. This proposal has been signed or endorsed by a total of 78 senior military, political, and diplomatic leaders drawn from across the European continent. The task force proposal draws explicitly on an agreement signed by China and the United States in late 2014. This U.S.-Chinese MOU sets out the principles and procedures for communication during encounters between military vessels and aircraft and requires each side to give timely hazard warnings if military exercises and live weapons firing are to take place in an area where the military vessels and aircraft of the other may be operational.6 It also sets out a series of rules for establishing mutual trust. These include a commitment, when conducting operations, to communicate in a timely fashion about the planned maneuvers of military vessels and military aircraft. They also include a list of actions that should be avoided, such as simulation of attacks by aiming guns, missiles, fire control radar, torpedo tubes, or other weapons in the direction of military vessels and military aircraft encountered. The agreement specifies the radio frequencies to be used for communication and the signals vocabulary to be used if pilots, commanding officers, or masters of vessels experience language difficulties as they communicate with one another. It also contains a provision for each party to conduct an annual meeting, led by senior military officers, to assess application of the agreement in the previous year and to deal with any problems or issues that have arisen during that time. With regard to the U.S.-Russian bilateral relationship, the 1972 Agreement on the Prevention of Incidents on and Over the High Seas, usually known as the Incidents at Sea Agreement, and the 1989 Agreement on Prevention of Dangerous Military Activities (see box) operate in a similar way. These two agreements could serve as the basis for a more multilateralized arrangement involving all NATO members and Russia and even NATO partners such as Sweden and Finland. Russian and NATO officials should pursue this objective with urgency. On the Russian side, there also are some voices arguing against this proposal, seeing in it a Western tactic aimed at distracting attention from matters of greater significance, such as the eastward enlargement of NATO, the failure of the West to engage in dialogue on future arrangements for European security as a whole, and a lack of willingness to address wider Russian security concerns from missile defense to developments in conventional prompt global-strike systems. The arguments on all sides are understandable in the context of what is now a total breakdown of trust between NATO and Russia and a lack of confidence among some allies within NATO. Ultimately, however, they are not persuasive. The very existence of the recent U.S.-Chinese MOU validates a concern over the risks that are run when the military forces of states that are not allies come into close proximity with one another. That agreement makes clear the importance of having protocols and military procedures in place to manage events in real time rather than relying on agreements to refrain from certain kinds of activity in the first place. Although some military commanders seem less worried about such incidents, many more believe leaving the outcome of close military encounters to chance or the split-second decisions of individual pilots and other military personnel is unnecessarily dangerous. The more recent dialogue between Russia and the United States on the subject of “deconflicting” the roles of the U.S.-led coalition and Russian military forces deployed in and around Syria is another timely recognition of the need for and logic of a new multilateral instrument to manage the risks. It is difficult to see why dialogue and the negotiation of more-formal arrangements makes strategic sense between China and the United States in the East and South China seas and why deconflicting makes sense in Syria, but neither apparently makes sense between NATO and Russia in Europe. The argument that an attempt to negotiate a new instrument between NATO and Russia in Europe could weaken deterrence also is not persuasive. It is a reasonable concern, echoing debates on whether to engage in détente and associated steps toward superpower conflict prevention and crisis management during the Cold War. Yet, it is important to recall that the underlying rationale of détente was a lowering of tension with the Soviet Union to avoid the possibility of an accidental conflict and the potential for catastrophic nuclear war. Détente emphatically was not nor was it intended to be the end of superpower competition or of differences between the Soviet Union and the United States. The impetus for dialogue in that period, as manifested in the 1972 Incidents at Sea Agreement and the Strategic Arms Limitation Talks, to cite two examples, was an acceptance of the need for mutual restraint and the adoption of measures to avoid accidental war. This approach was seen as the only basis for mutual survival. The nuclear shadow was ever present, and the fear of nuclear war was the driving force. In essence, what followed the near catastrophe of the Cuban missile crisis in 1962 was a developing belief that the task of avoiding war between nuclear-armed states could not be left to deterrence alone. Other mechanisms were needed to keep the peace and, no matter what disagreements and confrontations existed, these mechanisms needed to be negotiated and implemented. Looking at the current absence of dialogue between NATO and Russia and at arguments against negotiating a new instrument to manage close military encounters, one is struck by what appears to be nuclear amnesia, nuclear complacency, or both. If a military confrontation between Russia and NATO were to develop today, for whatever reason, the risks and the potential consequences would be the same as they were during the Cold War. For these reasons, the case for a new instrument to help manage the risks in the Euro-Atlantic area, and in particular to manage the risks between NATO members and Russia, is strong. The call for negotiation of such an instrument chimes with the times and with approaches being used in other theaters. Above all, it reflects the lessons of history. To pretend the status quo is safe or acceptable is to abdicate the responsibility of leadership and to leave the security of Europe and potentially of the world at the mercy of events. Ian Kearns is co-founder and director of the European Leadership Network. He previously was acting director and deputy director of the Institute for Public Policy Research in the United Kingdom and deputy chair of the institute’s independent All-Party Commission on National Security in the 21st Century. 1. “SAS Flight in Russian Spy Plane Near Miss,” The Local, May 8, 2014, http://www.thelocal.se/20140508/sas-plane-in-russian-spy-plane-near-miss. 2. Government-owned Russian media even bragged about this incident. 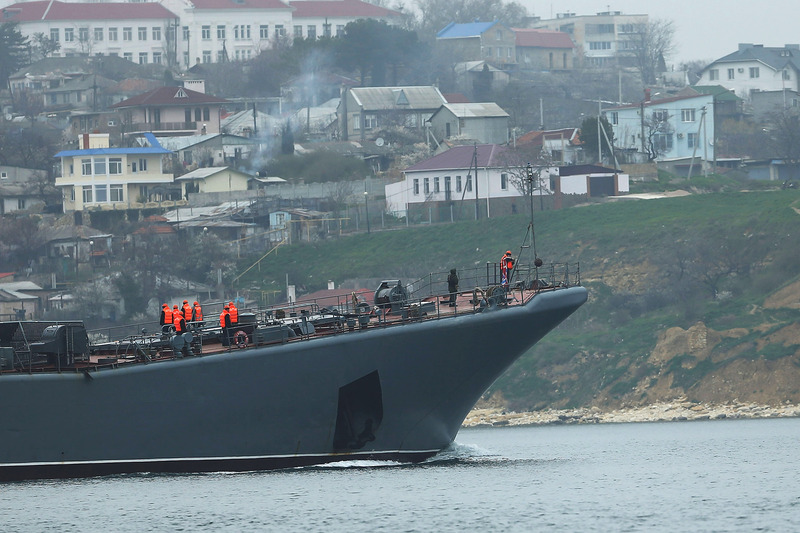 See Sputnik International, “Russian Jets Penetrate NATO Ships’ Air Defenses in Black Sea,” March 19, 2015, http://sputniknews.com/russia/20150304/1019036875.html. 3. Thomas Frear, Łukasz Kulesa, and Ian Kearns, “Dangerous Brinkmanship: Close Military Encounters Between Russia and the West in 2014,” European Leadership Network (ELN), November 2014, http://www.europeanleadershipnetwork.org/medialibrary/2014/11/09/6375e3da/Dangerous%20Brinkmanship.pdf. For a further update on incidents, see Ian Kearns, Łukasz Kulesa, and Thomas Frear, “Russia-West Dangerous Brinkmanship Continues,” ELN, March 12, 2015, http://www.europeanleadershipnetwork.org/russia--west-dangerous-brinkmanship-continues-_2529.html. 4. “Britain Backs Return of Cold War Nuclear Drills as NATO Hardens Against Russia,” The Telegraph, October 8, 2015. 5. The term “color revolution” is a reference to labels used by the world’s media to describe previous waves of revolutionary change in a number of countries. Examples include the Rose Revolution in Georgia in 2003 and Ukraine’s Orange Revolution in 2004. 7. Between March 2014 and October 2015, the author conducted face-to-face, telephone, and e-mail interviews on background with a number of senior military figures from NATO countries and Russia. The statement made in this paragraph reflects the view of a minority of those interviewed. 8. Since the publication of the position paper by the Task Force on Greater Europe calling for a new memorandum of understanding, this view has been expressed in August 2015 to the author directly by a former Baltic state defense minister and by several ambassador-level diplomats from the same region. 9. 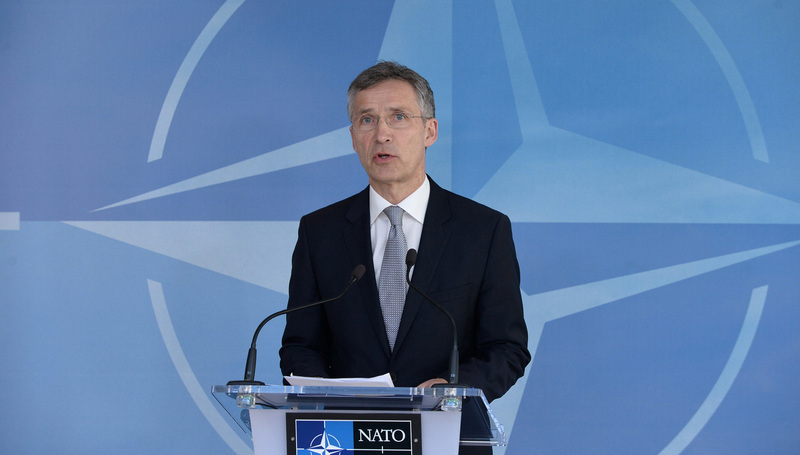 “Pre-Ministerial Press Conference by NATO Secretary General Jens Stoltenberg,” NATO, October 6, 2015, http://www.nato.int/cps/en/natohq/opinions_123471.htm. 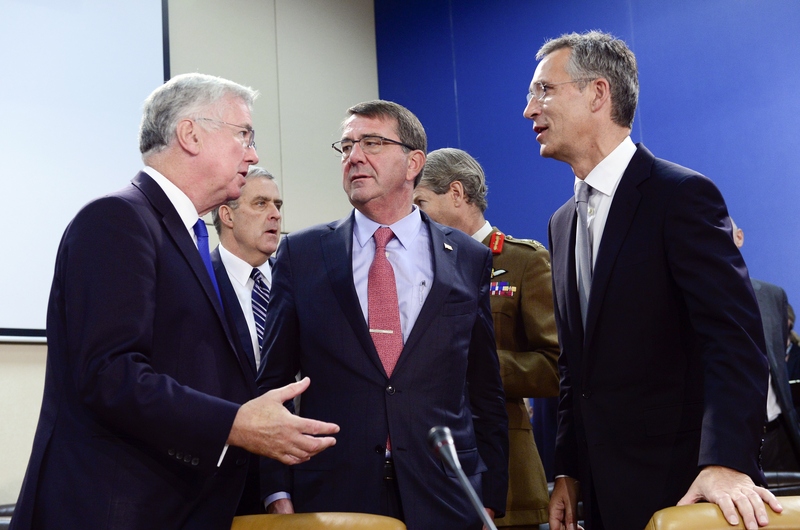 NATO defense ministers met in Brussels on October 8. NATO is evaluating how to respond to heightened Russian nuclear saber rattling, with some alliance members calling for the resumption of certain nuclear exercises. Against the backdrop of heightened Russian nuclear saber rattling, NATO is evaluating how to respond to Russia’s actions, with some alliance members calling for the resumption of certain nuclear exercises. “That is a recommendation that is being looked at” within the alliance, he said. It is unclear what specific nuclear-related exercises NATO may be considering or what the improved integration of conventional and nuclear deterrence would mean in practice. 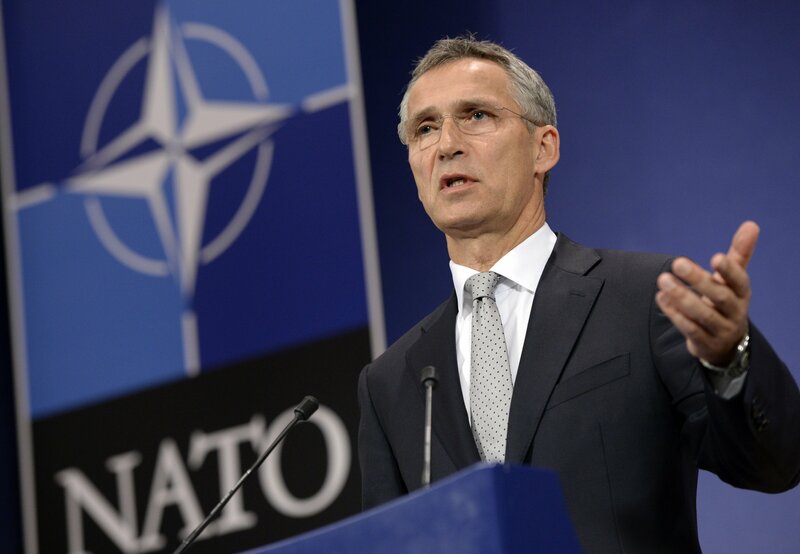 The official added that the readiness of NATO nuclear forces has not changed. NATO officials have repeatedly raised concerns about Russian nuclear behavior over the last year. (See ACT, May 2015.) These actions have included more Russian nuclear bomber flights close to the borders of some alliance members, more nuclear exercises, and threats to base nuclear forces in Kaliningrad, the Russian enclave on the Baltic Sea, and Crimea, which Russia annexed from Ukraine last year. “Anyone who thinks they can control escalation through the use of nuclear weapons is literally playing with fire,” Work added. Two European analysts speculated that the potential exercises being considered by NATO were tabletop exercises, which are meetings involving key personnel to discuss and test how to respond to a situation. Kulesa added that even if the proposal for new nuclear exercises was adopted, he would not expect that the pattern of already ongoing nuclear exercises or the readiness levels of NATO nuclear forces to change automatically. But “these changes may come later if the table-top exercises show, for example, that NATO’s current posture is totally unsuitable to respond” to the potential “nuclearization” of a crisis involving NATO and Russia, he said. Such exercises would not be comparable to “what Russia has been doing in live exercises, where nuclear and conventional forces are closely integrated,” he said. NATO is in the process of determining whether “increased Russian attention to nuclear weapons” should prompt steps such as military exercises “to make sure that there is no doubt about the effectiveness of our deterrent,” Alexander Vershbow, the alliance’s deputy secretary-general, said last month. “Maybe this is just rhetoric, but it is irresponsible nonetheless,” he added. Among other recent nuclear threats from Russian officials, Mikhail Vanin, the Russian ambassador to Denmark, said on March 21 that “Danish warships will be targets for Russian nuclear missiles” if Denmark joins NATO’s ballistic missile defense system. It is unclear what specific nuclear-related steps, if any, NATO may be considering to respond to these threats. But the official said that NATO’s Nuclear Planning Group (NPG), which acts as the alliance’s senior body on nuclear matters, convened Feb. 5 during the last meeting of NATO defense ministers. The NPG meetings take place about once a year and “provide an opportunity for Allies to address the safety and effectiveness of our nuclear forces,” he said. The official added that NATO’s “nuclear readiness levels have not changed since the start of the Ukraine crisis.” Relations between NATO and Russia have deteriorated significantly since Russia’s annexation of Crimea and continued action in eastern Ukraine, resulting in the imposition of Western economic sanctions against Russia. The official also said NATO is not considering the basing of tactical nuclear weapons on the territory of new member states. Such steps include increasing NATO’s presence on the territory of the alliance’s easternmost members and doubling the size of the NATO Response Force to up to 30,000 troops. The response force is a multinational force that the alliance can deploy quickly, wherever needed. “All of this shows that NATO is serious about deterrence, and stands ready to defend all Allies against any threat,” the official said. (Washington, D.C.) A new report by a 21-member commission consisting of experts from Germany, Russia, and the United States, "Strengthening Stability in Turbulent Times," recommends several new arms control and confidence-building-measures to reverse the deterioration in Russia's relations with U.S. and European governments. The immediate objective of the fifteen recommendations is to achieve a verified termination of the violent conflict in Ukraine, arresting the slide of NATO and Russia toward a potentially more dangerous situation. The longer-term objective goal, according to the Deep Cuts Commission, is to set the stage for taking more productive steps toward achieving the disarmament and nonproliferation goals established by the nuclear Nonproliferation Treaty (NPT). An every fifth-year review conference of the NPT will be held in New York on April 27-May 22. "It is in times of international tensions that arms control arrangements demonstrate their real worth and contribution to stability and security," says Deep Cuts Commissioner Steven Pifer, director of the Brookings Institution's Project on Arms Control and Non-Proliferation Initiative and a former U.S. ambassador to Ukraine. "This report's recommendations outline practical steps that should be of interest to officials in Washington, Moscow, Berlin and other European capitals," he says. "In light of the forthcoming NPT review conference, the Iran framework agreement, mutual allegations surrounding the Intermediate-Range Nuclear Forces (INF) Treaty and the almost complete breakdown of the arms control regime for conventional forces and armament in Europe, political leaders are well advised to no longer neglect the urgency of arms control and disarmament," says Deep Cuts Commissioner Walter Stuetzle, former senior official of the German Defense Ministry and former Director of the Stockholm Peace Research Institute. The report draws attention to the acute threat posed by unintended clashes between Russian and NATO military forces, but also notes that some vital arms control treaties are holding and that the aggregate global number of nuclear weapons continues slowly to decline. The report also urges immediate action to re-establish military-to-military communications and to set down rules to regulate the operation of the sides' military forces when operating in close proximity to one another. The Commission calls on participating states of the Organization for Security and Cooperation in Europe (OSCE) to explore conventional arms control measures to reverse the current dynamic and conduct discussions focused on identifying the appropriate scope and format for resuming. The report notes the unique opportunity Germany has for promoting such a discussion as chairman of the OSCE in 2016. The report stresses the importance of governmental and nongovernmental dialogue on how the United States and Russia can achieve further cuts beyond those called for in the New Strategic Arms Reduction Treaty (New START) and address other issues that impact nuclear arms reductions. The report calls for supplementing high-level political discussions with the involvement of U.S. and Russian technical experts in conducting site visits so that INF Treaty compliance concerns can be resolved. Russian Deep Cuts Commissioner Andrei Zagorski has cited the report's treatment of the INF Treaty dispute as an example of how controversial issues "can be reasonably solved in a cooperative manner, rather than through mutual public accusations." Dialogue on such issues, he says "leads to identifying not only problems ahead, but sometimes also to solutions." NPT nuclear weapons states are urged to intensify their pursuit of nuclear disarmament by undertaking discussion on the effects missile defenses and long-range precision-guided conventional strike systems have on stability. China, Britain, and France are urged to pledge unilaterally not to increase their nuclear force levels as long as the United States and Russia continue to reduce their own nuclear arsenals. The report concludes that all nuclear weapons states should commit to increased nuclear transparency by building on the legacy of the trilateral initiative (Russia, the United States, and the International Atomic Energy Agency) for monitoring fissile material stockpiles. Deep Cuts Commission member Greg Thielmann, senior fellow of the Arms Control Association, praised the respectful and highly professional approach that led to the consensus recommendations of the report. "We hope that the creative and comprehensive recommendations will help enliven international deliberations-at the 2015 NPT Review Conference, in Washington, Moscow, and other capitals-on how arms control solutions can help provide greater security and stability during these turbulent times," he said. The 21-member German-Russian-U.S. Deep Cuts Commission was established in 2013 to devise concepts on how to overcome current challenges to deep nuclear reductions. Through realistic analysis and practical recommendations, the commission strives to translate the existing arms control commitments into action toward further nuclear reductions and initiatives to strengthen common security. The commission received support from the German Federal Foreign Office and the Free and Hanseatic City of Hamburg. After Western allies announced new sanctions and military measures aimed at deterring Russia in Ukraine and eastern Europe, Russian President Vladimir Putin promised to continue Russia’s conventional and nuclear buildup. In response to Russian intervention in Ukraine, NATO countries agreed last month to create a rapid reaction force, endorse new economic sanctions against Russia, and boost defense spending. Russian President Vladimir Putin countered by ordering a major military exercise and repeating previous declarations that his country would fortify its conventional and nuclear forces. “Russia’s aggressive actions against Ukraine have fundamentally challenged our vision of a Europe whole, free, and at peace,” the NATO countries declared at the end of their Sept. 3-5 summit meeting in Wales. According to the Associated Press, Putin responded by saying, “We have warned many times that we would have to take corresponding countermeasures to ensure our security.” In Sept. 11 comments, Putin said Russia’s weapons modernization program over the next decade would focus on building a new array of offensive weapons to provide a “guaranteed nuclear deterrent,” rearming its air force, and developing high-precision conventional weapons. The actions marked a further worsening of relations between Russia and NATO over Ukraine and a setback for arms control efforts, according to regional experts. The 28 member countries of NATO agreed to create a 4,000-person “spearhead” force, capable of deploying anywhere within the territory of alliance members on 48 hours’ notice. NATO already has a response force, but several days are required to place those troops on the ground at a target destination. The new force will include ground troops with air and maritime support, as well as special operations forces to confront the type of paramilitary forces now fighting in eastern Ukraine. The creation of the new force “sends a message to the Baltic states and the Poles and Romanians and others that as far as NATO as a whole [is] concerned, their territory is as important to [NATO] as any other piece of territory, and that they can count on not only America’s commitment, but NATO’s commitment to their collective defense,” Ivo Daalder, former U.S. ambassador to NATO, said during a Sept. 3 press call. “[T]hat, in turn, is meant to send a signal to Vladimir Putin and to Moscow that basically says, ‘Don’t even think about doing what you’re doing in Ukraine on NATO territory because we will react swiftly, quickly, rapidly, and with maximum force to make sure that you do not succeed,’” Daalder said. The new sanctions target Russian state-owned financial, defense, and energy companies. They strengthen measures that the United States and the European Union instituted in late July to target key engines of the Russian economy after the downing of Malaysia Airlines Flight 17 over eastern Ukraine. Under pressure from Western allies, France announced on the eve of the NATO summit that it was suspending the scheduled delivery to Russia of a French-made Mistral helicopter carrier ship for two months. In a press conference at the NATO summit, Hollande said he would review the suspension in late October and that he had two conditions for delivery of the ship: a cease-fire in Ukraine and a political settlement that resolves the country’s crisis. The NATO countries pledged during the summit to reverse a trend of declining defense budgets by committing to move toward spending 2 percent of their gross domestic product on defense. In 2012, only the United States (4.5 percent), United Kingdom (2.5 percent), Greece (2.3 percent), and Estonia (2.0 percent) spent at the levels NATO now seeks, according to the NATO secretary-general’s 2013 annual report. Nonetheless, the NATO actions stopped short of violating a nonbinding U.S. pledge made in the 1997 NATO-Russia Founding Act, Lee Feinstein, former U.S. ambassador to Poland, said in a Sept. 17 interview. In the agreement, NATO promised to carry out its collective defense mission without “additional permanent stationing of substantial combat forces,” a provision that Russian President Boris Yeltsin interpreted as a binding commitment by NATO that the alliance would not permanently deploy combat forces near Russia. NATO took care to emphasize that the new force would not be permanently stationed close to Russia, said Feinstein, now dean of the School of Global and International Studies at Indiana University. At the NATO summit two years ago in Chicago, the allies debated and turned down a German proposal to reduce nuclear weapons in Europe, said Jorge Benitez, senior fellow at the Atlantic Council, in a Sept. 18 interview.